Why am I surprised each time The New York Times editorial board comes out with an opinion that demonstrates yet again how deeply indoctrinated the whole gang of them are into the logic of our industrial growth, more-energy-at-any-cost society? I grew up reading The Times daily, poring over the Sunday edition, and believing its worldview to be objective, level-headed and virtually infallible. I believed that The Times was a watchdog over government that looked out for the good of ordinary people, the ones like me without any public power. I believed that when The Times issued an opinion, it was always going to be well-considered and trustworthy. It’s only in the last few years that a veil has fallen from my eyes to reveal the extent to which The Times is simply a creature of the reckless, short-sighted, greedy elites that it serves. I grew up among those elites. But now, like many others, I have come to understand that the model of American society that I grew up with is not only unjust, it’s also deadly dangerous. Will The New York Times be playing its tune resolutely on deck as the whole global civilization built on extraction, exploitation and bottom-line myopia crashes, burns and sinks? These reflections are prompted by a recent lead editorial, signed “The Editorial Board,” urging American policymakers to expand the use of nuclear power. The Board lauds the construction of a huge, and hugely expensive concrete shield over the leaking radioactive core of the Chernobyl power plant. The shield, The Times says blandly, will be good for 100 years. “The splitting of relatively heavy uranium atoms during reactor operation creates radioactive isotopes of several lighter elements, such as cesium-137 and strontium-90, called “fission products,” that account for most of the heat and penetrating radiation in high-level waste. Some uranium atoms also capture neutrons from fissioning uranium atoms nearby to form heavier elements like plutonium. These heavier-than-uranium, or “transuranic,” elements do not produce nearly the amount of heat or penetrating radiation that fission products do, but they take much longer to decay. 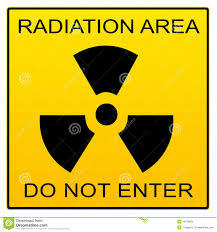 Transuranic wastes, also called “TRU,” therefore account for most of the radioactive hazard remaining in high-level waste after a thousand years. “Radioactive isotopes will eventually decay, or disintegrate, to harmless materials. However, while they are decaying, they emit radiation. Some isotopes decay in hours or even minutes, but others decay very slowly. Strontium-90 and cesium-137 have half-lives of about 30 years (that means that half the radioactivity of a given quantity of strontium-90, for example, will decay in 30 years). Plutonium-239 has a half-life of 24,000 years. Given the incredibly unstable sociopolitical situation in the Ukraine, the “great shield” stands a good chance of never being completed. And even if it were to be finished, what is 100 years in the timeline of radiation, or of our planet? Can we really consider nuclear energy to be “clean energy” given its deadly potential? This editorial should be rewritten to make Germany’s remarkable achievement in shifting quickly to renewables the central point, a rallying cry for other nations to swiftly follow suit. Nuclear energy is part of our dark 20th century past. It has no more of a place in our future than its evil twin, nuclear bombs. Human beings have shown that we are still far too immature and imprudent to play with this kind of fire. 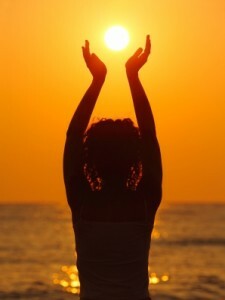 We need to let the sun take care of the fusion, and simply bask, like the other living beings with whom we share the planet, in the vast quantities of solar energy that bathe our planet every day.